So here is the deal: it is impossible to avoid back to school shopping. The plain truth is you need to get certain supplies to make sure your child is prepared for back to school season. This can become quite expensive, as children seem to need more and more every year. But savvy spenders know that there are several tips and tricks you can follow in order to save big. You don’t have to be a shopping guru or expert in order to save, you just need to know where the deals are, and the places you can save a few pennies. Below, you will find back to school shopping strategies to spend smart and save big. You will find that these tips are simple to follow and don’t require a great deal of know how or time. Give these tips a try and see how easy it is to shop smart and save big. Take a peek! 1. Get your child involved. Explain to your child what the difference between wants and needs are. They won’t be able to get every single item they want and you should be able to tell them that. Before shopping, make a list with your child based on the list the school provides. Make sure your child understands what they will be getting to prepare them for school and what can wait. Teachers will tell you that things like sparkly erasers, light up pencils, and other fancy items can be a distraction. They are not only a distraction, but they are more expensive than plain items. Instead, forget about these back to school gimmicks and keep things simple. It costs less. 3. Keep your supply list in the car. While you are running your errands, you will want to keep your list on you should you run into any deals. If you don’t have your list, you could miss out on a hot deal. Keep your list in your car or in your purse so if you come across a sale or a free with rebate deal, you have your list to see if you need it or not. 4. Buy basic supplies in bulk. You can buy basic supplies such as paper, pencils, and notebooks in bulk. Warehouse stores are perfect for buying these items for less and having enough to sustain you for the rest of the year. Do the math and make sure the bulk price beats the a la carte price before you shop. 5. Negotiate a group discount. Gather the other parents at school and see if you can rally together to save. A group of parents may be able to negotiate a group discount from a local office supply store. Contact stores in your area and see if they are open to the possibility of this. Then, contact parents and get the ball rolling. 6. Stock up and set up a home store. Buy items on sale, free with rebate, or in bulk and then gather them in a storage bin. Keep the bin in a safe place where they can be shopped during the year as they are needed. That way, you are not having to run out and buy items during the year, possibly spending more. 7. Help your school and yourself. Ask if your school participates in a program like OneCause. If so you can shop for supplies often receiving a discount and special coupons. Plus with your purchase, your local retailer will donate a percentage to the school of your choice. It is a win/win! See how easy it is to save money on back to school? 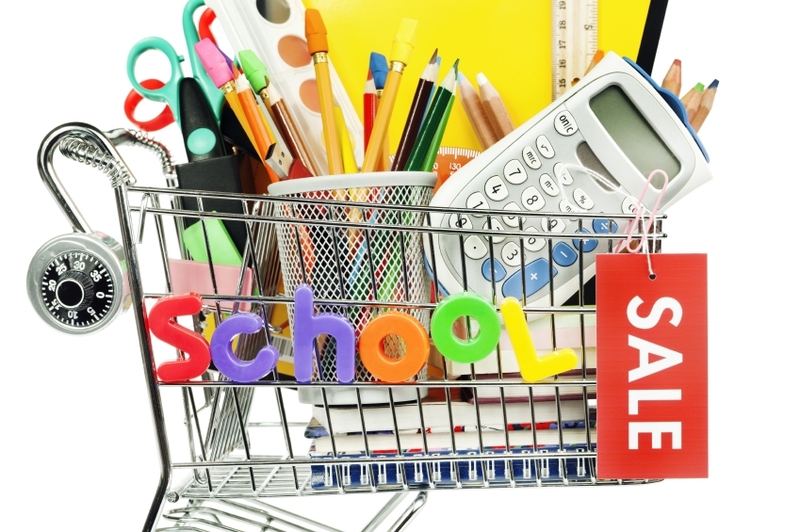 With these back to school shopping strategies you can learn how to spend smart and save big. These tips will help you make the most of your cash and stretch your shopping dollar. Give them a try and see how quickly the savings add up for you! This entry was posted in Holiday and Seasonal Finances, Saving Money and tagged Back to School Shopping, Financial Advice, First Financial Federal Credit Union, Saving Money by Marketing Coordinator Nicole. Bookmark the permalink.